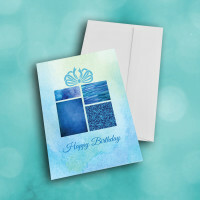 This classy and professional birthday card is the perfect way to share some beautiful greetings. 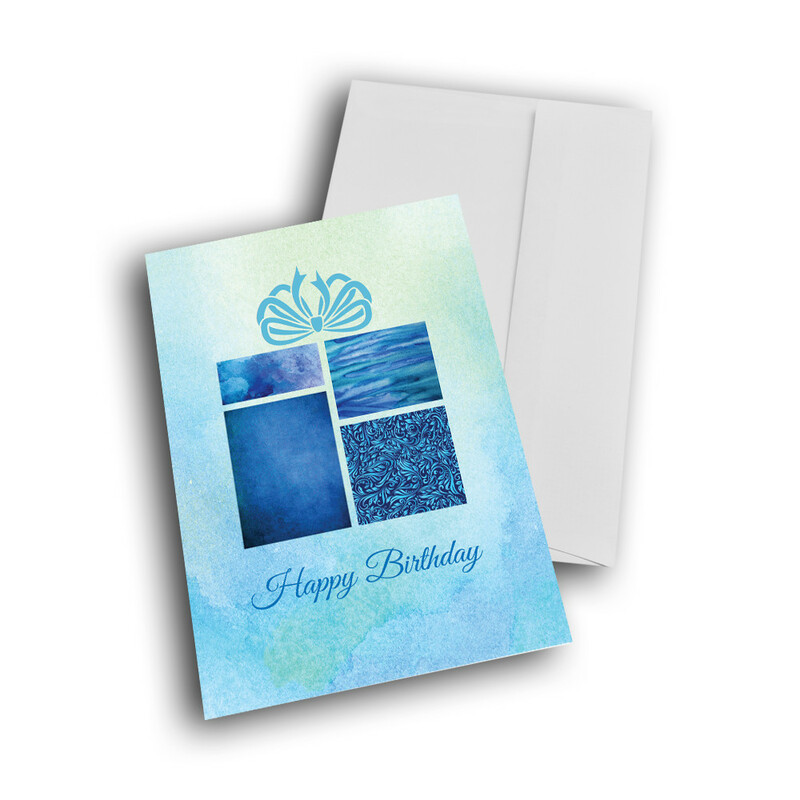 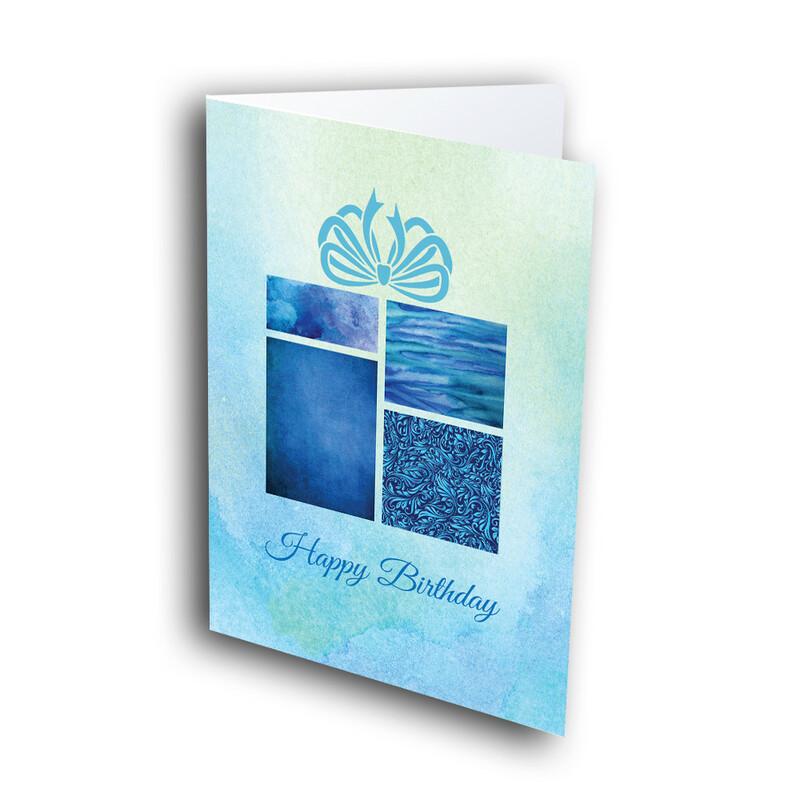 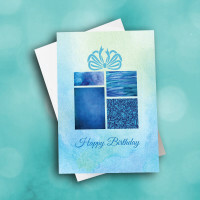 Whether in your personal or business life, this elegant card is sure to please. 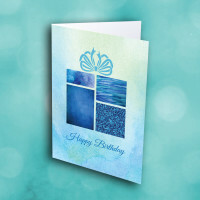 The cloudy-blue front is decorated with a single gift, neatly divided into four sections, with each section made of a different, unique design. 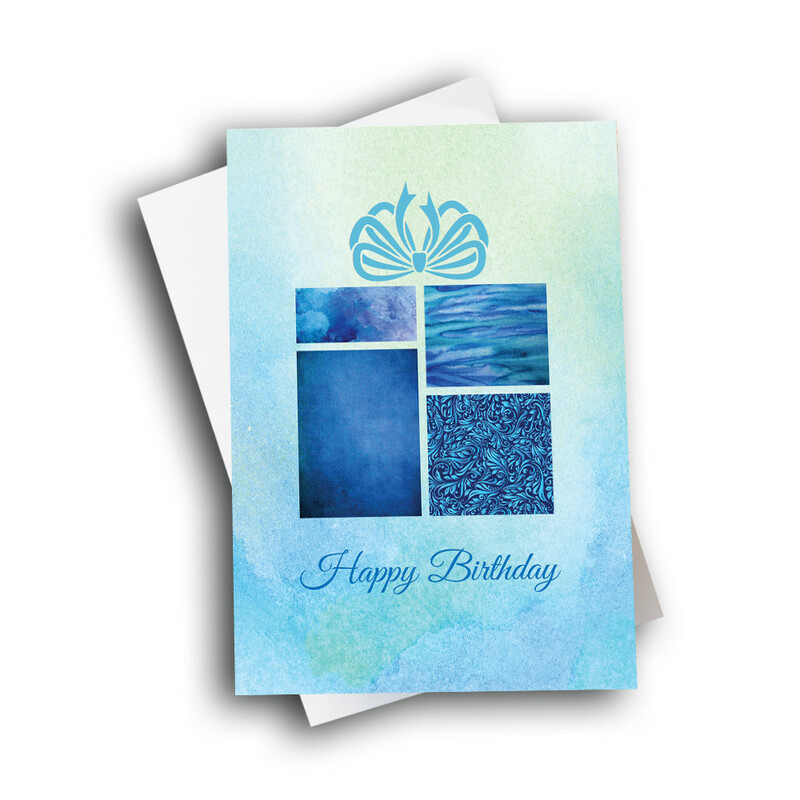 The birthday greeting is penned smoothly underneath. The message inside can be personalized, to make this card ideal for any relationship.